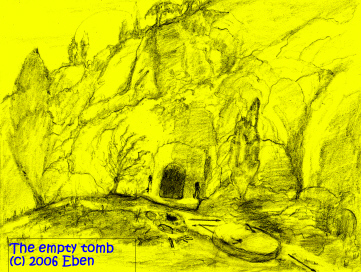 Peter--one of the very first people in the world to find the tomb of Yeshua was empty, the one to be called the Apostle had, at that moment, a great destiny--for had he found something better to do--perhaps run off to Galilee and hide the rest of his life--he would have missed it completely! Holding on to the site of his disgrace after denying Yeshua his Lord, denying him three times at the house of Caliphas the high priest, as he was warming himself in the courtyard, Peter found himself at the right place at the right time, though he didn't know it at that moment. Later on, after walking, talking, and even eating with the Resurrected Yeshua, then watching Him ascend into heaven, the golden destiny for Peter continued, with great manifestations. Not only did he preach on Pentecost to a crowd and 3,000 people repent and choose to follow Yeshua, but angels dealt personally with the Apostle Peter on a number of occasions, apparently more than dealt with any other Apostle of Christ. And angels delivered him from Herod’s dungeon miraculously. Angels revealed Mysteries of the Gospel of Grace (the Vision of the blanket of non-kosher, ceremonially unclean things coming down from heaven with all sorts of beasts in it--in one sense saying that as all things given by God were now lawful to be eaten, the Law being completely fulfilled in Christ, in the larger sense he was free to impart the Gospel to the Gentiles). It is not unreasonable to think he also received a vision concerning the Harrowing, for it is an event that no living man could have witnessed, save One, the Son of Man, Jesus Christ. For the Anointed One (Y'shua the Messiah, the CHRIST) also suffered once for sins, the just for the unjust, that He might bring us to God, being put to death in the flesh, but made alive in the Spirit. By Whom also He also went and preached to the spirits in prison, who formerly were disobedient, when once the Divine Long-suffering waited in the days of Noah, while the ark was being prepared, in which a few, that is, eight souls, were saved through water. Of this immense (yet miniaturized) Underworld “prison” of disobedient, Antediluvian souls, who all perished in the Flood or died before the world-wide deluge, St. Peter makes another observation in I Peter 4: 8, this time hinting of the Gospel of Grace being operative even in the dreadful depths of Hades (for it was not Hell proper, Hell not being used for only those unbelieving souls until after they had rejected the ministry of Y'shua on his only visit to preach to them his victory over sin, death, and the Devil--Satan, aka Lucifer. 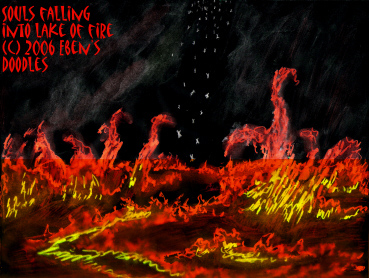 How he got to Hades, scripture does not say. Escorted by angels? Escorted by defeated devils? Both? Or did He go simply alone? On Earth II, however, He went down in the Unhewn Stone, which also transported his private train. The Unhewn Stone, flying down through the earth, made short work of the huge bronze gates that imprisoned the Underworld and its inhabitants--those of the Elysian fields, and those of of the less pleasant parts. The terrible magnificence of the Harrowing, referred to by the Apostle Peter in his letter, was the scene in the depths of the Earth as vast multitudes of souls assembled in surging masses in Tartarus, the most dreary, dreadful prison imaginable, to hear the Christ witness of His life, suffering and death, and His coming Resurrection from the dead. They heard from His lips that all who believed on His Name would be pardoned of all their sins and disobedience, and saved unto life everlasting by the grace and mercy of His Father. How can it be said that Grace was received by at least some of the disobedient? The Gospel was preached, St. Peter testifies. The word “Gospel” means “Good News.” It could only be “Good News” to those it still had power to save. To those who rejected it in Hades, it was, indeed, made Bad News, by their own choice, for by the same word they were judged and condemned, their own choice turning a saving word to a damning one for themselves. But to those who chose to believe, it was wonderfully Good News, as, indeed, it was, since they had probably given up all hope of being rescued from such a place until Christ miraculously appeared in their despairing midst. Just the same, the word used, “Harrowing,” denotes the painful re-adjustment the imprisoned souls must have experienced if they accepted the words of Christ as true for them. They had willfully disobeyed the Almighty all their lives, many of them mocking Noah the righteous man in their midst. Proven wrong by what happened to them in the Flood, the saving of Noah testifying that they were wicked and he and his family alone righteous and approved by God, the imprisoned souls surely experienced terrible upheavals of guilt before choosing the Way out--if they did choose it. To do so they had to tear themselves away from all those who held back, who were still choosing to mock what they heard. These must have suffered great abuse before they were drawn out of the depths by the very hand of Y'shua the Victorious. The entire gamut of total despair, shock, the initial recoil from the Blinding Light of the Gospel, the drawing toward it, guilt, indecision, finally full affirmation, with consequent abuse from still disbelieving multitudes--each soul that chose to believe Christ must have had to run this gauntlet to be saved. It was a most painful process, but it ended in greatest joy and freedom unspeakable for once despairing, self-condemned souls. How do we know that lost souls believed Christ and came out of prison along with the saints from the Elysian Fields? Scripture (Apostle Peter's own words giving witness) testifies that Christ led captives captive when He arose from the dead--if the matter is still unclear to some. Since a whole, highly populated world perished in the Flood, the number of “captives” led forth to eternal freedom by Christ might have been multiple millions, and possibly billions of souls, since some authorities estimate five to seven billions for the world population at the time of the Great Flood. Where they strictly those who were righteous before the Flood, however? If so, the number would be greatly reduced to possibly a few millions. 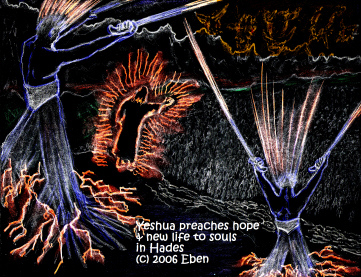 Yet, to error on the side of God’s grace, let us suppose Yeshua preached the Good News to the unrighteous in Hades and many chose to come forth from darkness, accepting Him as God’s Son and Messiah-Savior. Let us suppose God’s Grace is that powerful and able to save even those who apparently lost all chance to a happy eternity with God their Creator. 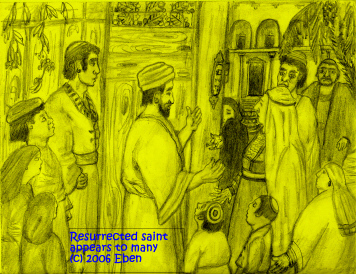 It is always a bit wise to error on the side of grace, as certain saints of Jerusalem were resurrected when Yeshua was resurrected, early in the third day after He was crucified and buried in the tomb of Joseph of Arimathea. Why? The resurrected saints served as living testimonies that what had happened to them was the direct result of Yeshua's own prior resurrection! It was also the most spectacular and unmistakable way to inform the people that what these saints had just experienced was available to all who loved God--telling the world that death no longer possessed a fatal sting. 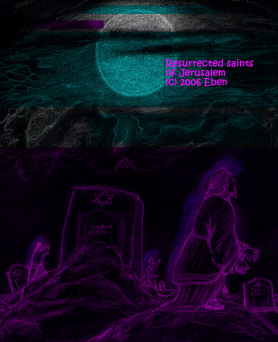 Yeshua had conquered death and the grave by rising again! The First Harrowing was necessary, perhaps, because the Grace and Mercy of God are remembered in His wrath. He destroyed the world with water because of His wrath against humanity’s wickedness and violence, but He remembered them, and sent His own Son to preach the Gospel, the Good News that there was a Way out, if they would only elect to take Him as Lord and Savior, the sacrificial Lamb who could cover all their sins, pay the full penalty with his death-sacrifice, thereby redeeming them in the eyes of God their Judge. Thus they could be set free of the debt of sin they had incurred by their sins--a debt so immense that no individual could possibly pay for with good deeds and self-righteousness because a single sin was sufficient to divide that soul from eternal life and God forever--unless God Himself provided a Way across the gulf. There was no other Way provided than God’s Son, the Anointed One. This was it. Would they take it? They might have pleaded ignorance once of the saving Father, but when He sent His Son into the very depths of the Earth to offer them the good news of what He had just accomplished on the Cross through crucifixion, there could be no such plea evermore. On Earth II, the First Harrowing occurred in the same fashion. But when time came for the Second Harrowing, it was necessary, perhaps, to account for souls of those who died during the repeated ages that had already passed on both Earths--ages when the Gospel was virtually lost to entire populations. Such people were, indeed, ignorant of the Truth, the Way, and the Life. Again, God would not leave them in utter darkness without a real choice having been made whether they wished to live with Him in righteousness or not. 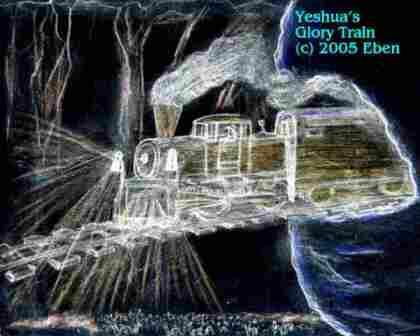 This last Harrowing on Earth II also witnessed the “Glory Train” carrying the Redeemed (including those “harrowed”* from the coals and fire of Hades. 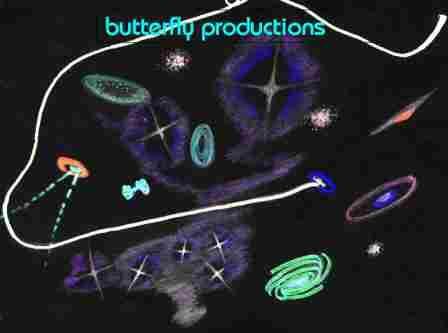 This last harrowing took place before the Great White Throne Judgment and the casting of the damned into the ever-burning Bottomless Pit, the appointed Black Hole that would swallow Hades itself just as it was destined to engulf the old, worn-out Universe in preparation for the New Heavens and the New Earth). ALL PRAISE AND HONOR TO THE LORD EVERLASTINGLY! RETRO STAR IS CONCLUDED. 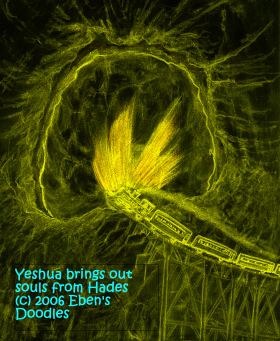 As we must now part company on this long journey, you are cordially invited to walk the true path, the path of life, and become a follower of Yeshua by believing in in your heart in Him who has received all power from the Father God after sacrificing Himself to pay the penalty for each of us for sin. Open your heart to Him now, confess your sins, invite Him as Savior and Lord over your life. Now tell others what you have done, and invite them too into Yeshua's kingdom. Only now have Gabriel Tall Chief and Horace Brave Scout ended their dreaming the dreams of other travellers and their journeying is over--they will go to their places of rest with their people. *Harrow: 1. an agricultural implement with spikelike teeth or upright disks, for leveling and breaking clods to plowed land; 2. to draw a harrow over land; 3. to disturb keenly or painfully; distress the mind, feeling, etc; 4. to be become broken up by harrowing, as soil.